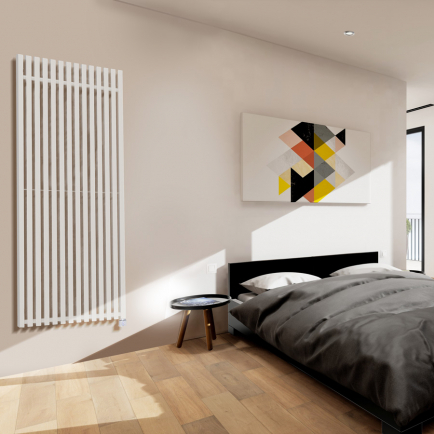 Based in Poland, Terma are an innovative, design-led heating manufacturer – producing electric radiators with a focus on style and functionality, since 1990. Specialising in thermodynamic fluid radiators, Terma products are energy-efficienct, stylish, and easy to use – providing elegant electric radiators that function as well as they look. Are Terma electric radiators controllable? Terma electric radiators use modern heating elements in their products, providing user-friendly, easy to use electric radiators. Some Terma products are Bluetooth enabled, so you can make wireless adjustments to your heating from a compatible smart device. Without a smart device, Terma products offer simple push-button control for quick and easy temperature management. Are Terma electric radiators different from any other electric radiators? Terma electric radiators are the aesthetic choice for your home, combining elegant designs with sophisticated, easy to use thermostats. 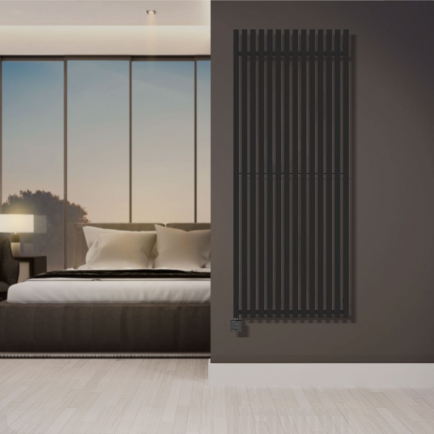 Terma products are unique – representing the pinnacle of attractive electric heating. In this sense, Terma electric radiators stand out from the crowd as the stylish alternative for home heating. For statement heating in style-conscious homes, look no further than our range of Terma electric radiators. Manufactured to the highest standards, Terma designer electric radiators provide a bespoke heating system with a focus on innovation and functionality. Featuring unique coil-shaped radiators in modern copper tones, to sleek electric towel radiators in sparkling greys, our range of Terma electric radiators are the aesthetic choice for modern households. Whether you need to heat a large room or a quiet corner, for easy to use heating with a focus on style, browse our range of Terma products today.